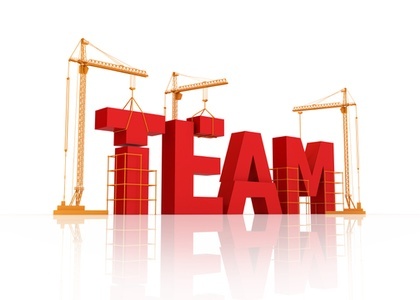 To build an effective team, you need more than industry knowledge or technical proficiency. You need a group of people who can work together in a positive, productive way, getting through disagreements to come up with real solutions. That kind of team depends on soft skills, and these are the essential soft skills your team needs. Teams depend on communication. It’s the ground-level requirement for any group of people working together; otherwise there’s no way for these people to share ideas, give and receive feedback, reach common solutions, set goals, and assign tasks. Good communication skills include listening, speaking, understanding, and clarifying. Listening: listening with your whole attention in order to really hear and understand what the other person is trying to convey. Speaking: sharing in spoken (or written) language, with a courteous tone and clear words, what you are trying to convey. Understanding: thinking about what’s been said to be sure you understand the meaning before you respond to it. Clarifying: speaking back what you think you understand in order to confirm that you have an accurate understanding. A team exists to solve problems in one way or another; a creative team may be creating new solutions or concepts, while an operations team may be refining the daily systems that keep the business running. The better each team member is at problem-solving, the stronger and more creative your team can be in coming up with solutions. To solve problems, help your team members develop the key problem-solving skills. Identifying the problem: getting to the root cause of the problem to be solved before trying to solve it. Researching and analyzing: gathering pertinent information that will affect possible solutions. Creative thinking: sorting through ideas for potential solutions and developing new and creative ways to solve problems. Refining: discussing various ideas and ways to implement, anticipating obstacles, and developing workable solutions. Implementing: making a decision, organizing resources and assigning tasks, and executing a plan to put the new solution into place. Beyond the basic communication skills, your team can benefit greatly by developing strong interpersonal skills. The most effective teams are the ones that have developed a shared identity and sense of unity. That’s easy to do when your team members have good interpersonal skills, which helps them create connections and build trust. Nonverbal communication: maintaining good body language and friendly eye contact appropriate to each situation. Basic manners: expressing basic courtesy in order to treat each person with respect. Social cues: identifying and interpreting social cues, such as when it’s time to end a conversation. Self-awareness: knowing and managing your own preferences and tendencies in order to avoid undue stress on yourself and others. Responsibility: being willing to take responsibility for your choices and actions. Honesty: being assertive when needed, stating your opinion courteously, and contributing to the ongoing discussions in a team. The list may seem long, but fortunately many of these soft skills are developed in the formative years, through family, social, and educational interactions. For the ones that are a bit lacking or rusty, simply being aware of the need to improve can help. Focused workshops, training, seminars, or guided discussions can also help your team to develop these soft skills. They’re worth the time and effort; the better your team is at communicating, problem-solving, and relating to each other, the stronger and more creative they will be in their work. This post was originally posted on Bitrix24 Blog, Click here to see the full post.